Grandchamp Roofing is your top rated residential roofing company in the Bryan and College Station area. We invite you to contact us on your next roof replacement or roof repair project. We have the experience necessary to work with any type of materials or home and will help you make the best decision for your particular situation. We offer free quotes and invite you to get competitive bids to compare with us. Throughout the whole process, from the initial inspection and quote, to the hammering of the last nail, to the final clean up, our professional roofers will keep you informed each step of the way or, if you prefer, hand it off to you for final inspection as a turn key project.Throughout many years of working in residential roofing, we know that house owners are concerned about quality, price, appearance and performance. 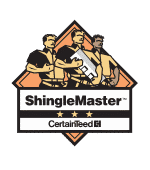 At Grandchamp Roofing, we pay attention to these details like no other and will meet your budget goals while maintaining the strictest quality standards in the industry. We believe that a roof should look and perform like a grand champion so that it will protect your family and home for many years. For residential roof repair, roof replacement or new roof installation in College Station, Bryan or all of the Brazos County, give us a call. For any questions concerning your roof, contact Grandchamp Roofing. We aren’t happy and the jobs not done until you are one hundred percent satisfied. We pride ourselves on our customer feedback and invite you to examine our past jobs and projects. Let us show you what real customer service looks like, give us a call today for your free, no obligation quote on your next roofing project.